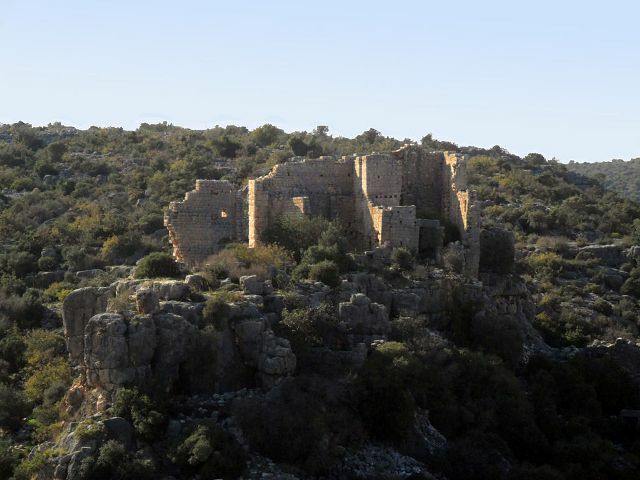 Notes: Hisarin Castle (Turkish: Hisarinkale also known as Hisarkale where Hisar means "fort" ) is a castle ruin in Mersin Province, Turkey.The history of the castle has not been firmly established . But the polygonal masonry suggests ancient age. (Seleucid Empire or Roman Empire era). The castle was used as a garrison to protect the ancient city to the east of the valley.